Ilsley Public Library’s films include a DVD collection with the latest new releases, an extensive back-catalog, popular TV series and a wide range of foreign and documentary films – more than 10,000 titles and growing! The adult collection can be found on the main floor near the computer lab. Children’s titles are shelved in the youth section on the ground floor, across from the circulation desk. Kanopy – Over 30,000 films entirely free with a library card. 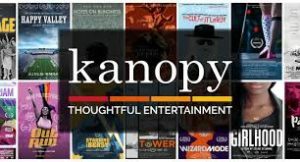 The popular on-demand film streaming service Kanopy is now available for free for Ilsley Public Library cardholders. Library card holders can access Kanopy and sign up to start streaming films by visiting ilsleypubliclibrary.kanopy.com. Films can be streamed from any computer, television, mobile device or platform by downloading the Kanopy app for iOS, Android, AppleTV, Chromecast or Roku. Offering what the New York Times calls “a garden of cinematic delights,” Kanopy showcases more than 30,000 of the world’s best films, including award-winning documentaries, rare and hard-to-find titles, film festival favorites, indie and classic films, and world cinema with collections from Kino Lorber, Music Box Films, Samuel Goldwyn, The Orchard, The Great Courses, PBS and thousands of independent filmmakers. You can learn how to set up an account with canopy here. Freegal – free music downloads! Ilsley Public Library has added Freegal, a free + legal music streaming and downloading service, to our digital offerings. All you need to sign in to Freegal is your library card number and account password – the same one you use to log in to your library account. Once you have logged in you can download up to 5 songs a week and stream 3 hours of music a day. Downloaded songs are yours to keep: you can listen to them on your devices, back them up on your computer, and even burn them to CDs. 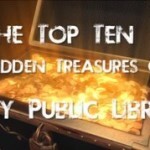 The Freegal library not only includes titles from Bilboard’s top 10, but classical, rock, folk and jazz. Whether you are looking to listen to today’s hot music or to fill gaps in your home collection, head over to https://ilsleypublicvt.freegalmusic.com/ and start listening.